I am a Cornishman who has travelled quite a bit, having lived both in Italy and Australia for many years. My background is in photography and I spent 11 years in Milan, shooting primarily for cosmetics companies, including Revlon, Rimmel and many others. Now back in Cornwall, I still take pictures, but mainly for fine art projects. Very often it's the details that count with web design, such as the choice of font, colour scheme and a general sense of design developed over years of working in the right environments. It has to be technically correct as well, sharing the same approach as my past work in photography. Remember the days when you used to pay a small fortune for an advert in the Yellow Pages? Nowadays people use Google and your website has to make an immediate impact, whether on mobile, tablet or desktop. If you don't have a website or your existing one needs an update I can help you with a clean, fresh design that will help boost your business. It doesn't matter if you are a big business requiring a total rebrand or just a local B&B needing a one page site. 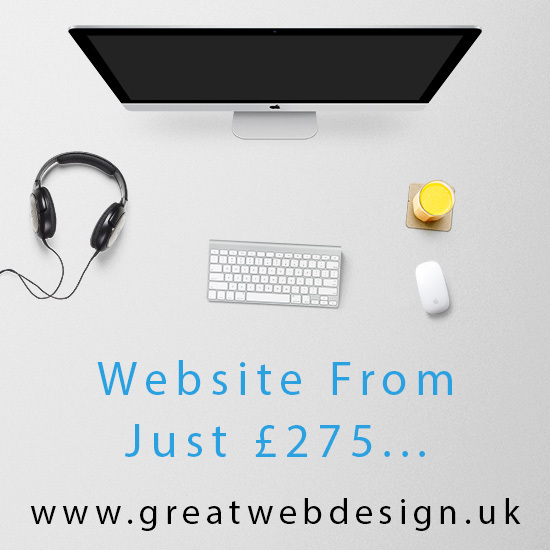 One of the first questions about building a website usually relates to the cost, so I have created a Starter and Premium package that provide very simple choices for building & maintaining websites with clear and ultra competitive prices. If neither of these packages suits your needs we can look at Bespoke options that are effectively tailor made to your requirements and priced individually. This would be the right choice if you are looking for online booking, e-commerce integration or perhaps a content management system that allows you to make your own updates. Most web design agencies employ a large number of staff. They are located in slick studio spaces, which all costs a fortune to maintain, so they pass those costs directly on to you as the customer. In my case, it's just me delivering high quality web design and development without the typical agency fees. As a photographer I always followed three basic rules when working for clients and the same applies with web design. On time, according to the brief and within budget. The clue is in the name. It's great web design.